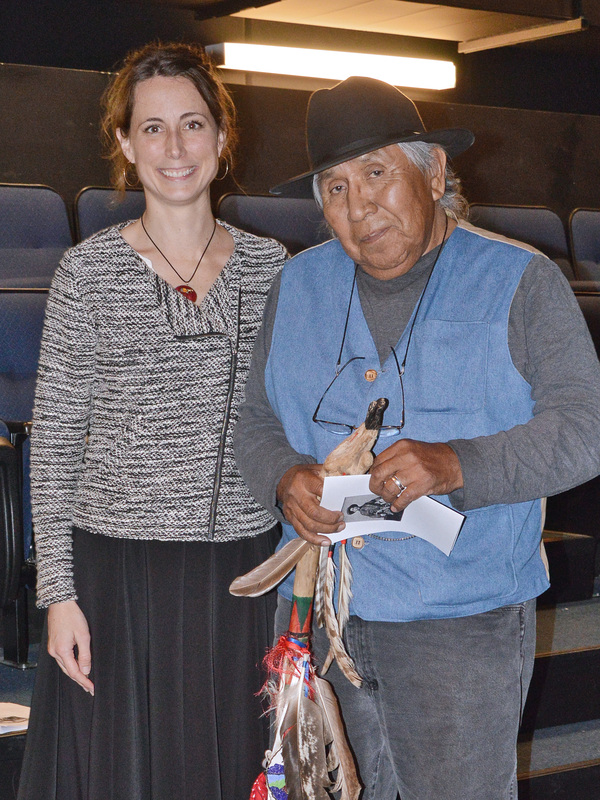 The students of my TDHT101 Native American Performance class spent the quarter studying plays and performances by First Nations artists from Canada and the US like Marie Clements, Tomson Highway, Shirley Cheechoo, Spiderwoman Theatre, Monique Mojica, Yvette Nolan, and Randy Reinholz. They also examined the work of visual artist Nadia Myre, of hip hop artists Samian and Shauit, of the DJs A Tribe Called Red. They watched short films by the Wapikoni Mobile, met with Jennifer Bobiwash to talk about her youtube channel called Welcome to the Tipi, had the chance to chat with Randi Reinholz… It was a full quarter! The class culminated with a staged reading of Preston Arrow-weed’s play Provocation: A Deadly Game. In his play, Mr. Arrow-weed creates an encounter outside of time, held in a mystical courtroom, between Joe Homer, a Quechan leader, and the perpetrators of what has been recorded in the archives as the Glanton Massacre. That Horsehair, the Quechan leader, killed John J. Glanton and his gang is undisputed in Mr. Arrow-weed’s play. Instead, the play meditates on the reasons that pushed Horsehair to end Glanton’s reign of terror on the Colorado River. The play seeks to provide another version of the events that took place in 1850 near what is now Fort Yuma.